On line arithmetic is a computation tool able to adapt to the precision expected by the user. 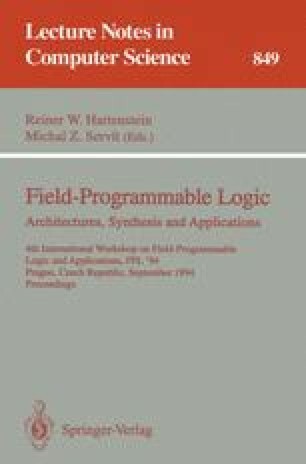 Developing a library of on line operators for FPGAs will lead in a near future to the spread of brick-assembled application-dedicated operators. In the implementation of the basic arithmetic operations (addition, multiplication, division and square root), we have met some new problems: our work has involved changes in the VLSI design methodology in order to achieve some effective performances. We shall present the modified on-line algorithms and their adaptation to the cell oriented FPGA architecture. The correct integration of some retiming barriers has proved to be critical as far as speed is concerned.